For decades, payday lenders have taken advantage of the financially desperate. Their predatory lending practices have lured good, hardworking people into a never ending cycle of debt, seeing some borrowers turn to foodbanks and the Salvation Army just to break free. Customer service at payday loan outlets is designed to be confusing, and to encourage re-borrowing once a loan has been paid off. Most of their clients have no idea what they’re getting into, and before they know it, they’re trapped. Alberta has recognized this as a problem. When employed people who have otherwise always been responsible, are finding themselves in financial slavery to these predatory lenders, something must be done, and that something is beginning right now in Alberta. Phase 1 of Bill 15, An Act focused on ending Predatory Lending, was just rolled out in Alberta on August 1, 2016. In this phase, a new limit on how much lenders can charge per $100 owed has been set. It can no longer exceed $15. Phase 2 of the bill will take effect in fall and will require all payday lenders to offer repayment in installments. It will also dictate that no payday lenders should charge a penalty for repaying loans early, as they had in the past. This bill has been set in motion to protect the people of Alberta who may not have the best credit, and who are vulnerable to these financial sharks. The bill is looking out for the little guy, and making it easier for regular people to understand what it is they’re getting into when they pop into that corner loan shop for a little financial help. What About the Rest of Canada? Alberta has taken a big step in protecting its residents, but what about the rest of Canada? What are the other provinces doing to curb predatory lending practices? All provinces except Newfoundland and New Brunswick have passed legislation effectively limiting what short-term lenders can charge for borrowing. 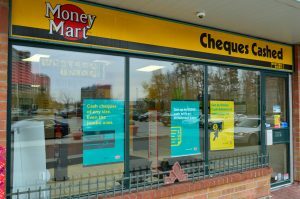 In Quebec, the interest rate has been capped so low, that it’s not economical for payday loan companies to operate there. It seems that Canada is on the right track as far as capping what payday loan companies can charge for borrowing. Further legislation is clearly needed, however, to curb the high-pressure encouragement to re-borrow and to keep the customer base confused and uneducated about what they’re getting into. What do you think about the bill that has taken effect in Alberta? Let us know in the comments!